When working in a dusty or wet environment, the Advantage vaportight fixture is your go-to vaportight fixture. With multiple lengths, widths, and lumen packages available, we can properly light up any area. Are you proud to be an American? 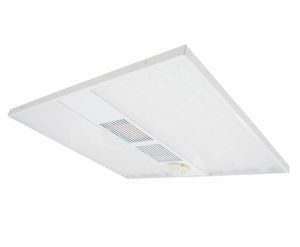 This specifier grade LED highbay is designed and manufactured completely in the USA! Multiple lumen packages from 70 watts and 8,500 lumens to 290 watts and 36,000 lumens. Any height warehouse can be efficiently lit with these architectural grade LED highbays. The thin profile on these fixtures maximizes efficiency by increasing the functional area below the fixture. 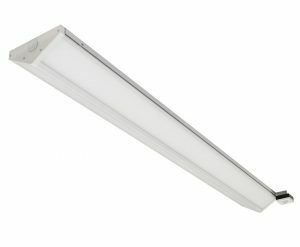 This is the perfect fixture for replacing any industrial or basic strip fixture in your facility. It also works as a great task light for work areas. With a diffusing lens and optional wireguard, this is a great fixture to replace the fluorescent or HID highbays in your warehouse. 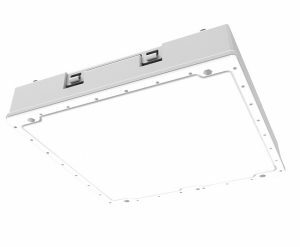 The higher lumen output models have the general footprint of a fluorescent highbay, but the fixtures are designed specifically for LED. These are great for low ceiling applications when you’re looking for a surface mount fixture. It has a perfectly designed lens which distributes the light evenly while carrying the protective quality of polycarbonate. This sleek and modern looking fixture will give your warehouse the modern feel you’re looking for. 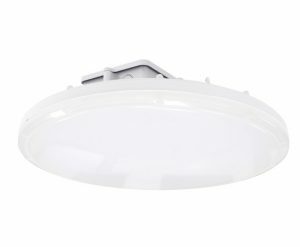 Attractive and durable, it can be installed in harsh-use areas without fear of dirt, water, or impact damaging the fixture. 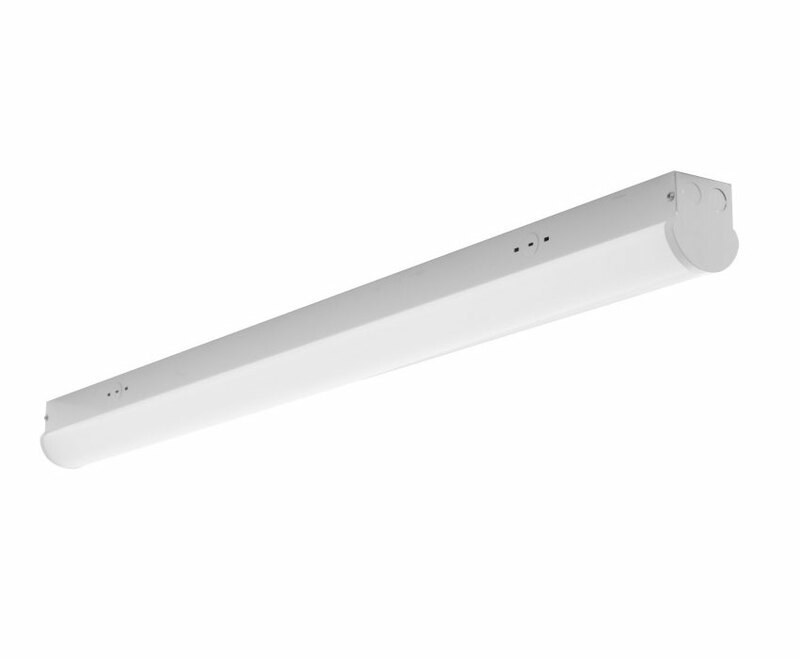 The standard 40 watt model will replace a 2 lamp 8’ T12 strip fixture. Motion sensing, step-dimming, and daylight harvesting are all programmable with the touch of a button. The Penta can be mounted in multiple different ways; pendant, aircraft cables, or surface mounted. 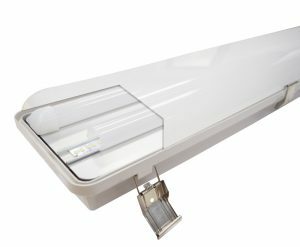 The engineered cast aluminum body and frosted polycarbonate lens together make this fixture very durable and long lasting. This is the lowest cost way to retrofit existing fixtures to an LED lighting source. 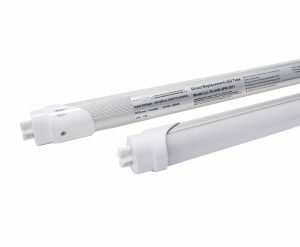 Our T8 LED tubes come in three varieties: electronic ballast compatible, directly wired to 120-277V power, or dual mode operation. T5 tubes can be used with an existing F54T5HO ballast. 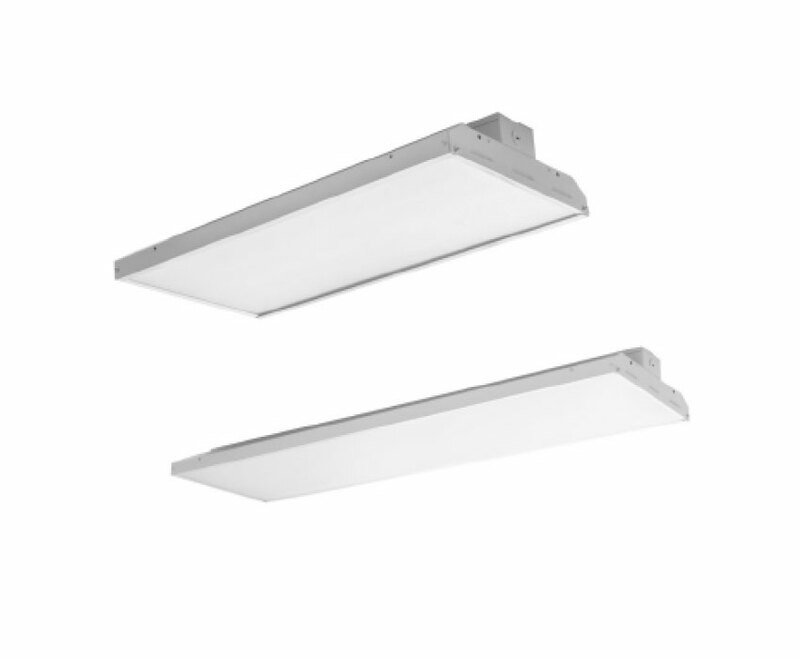 Wattage reduction and quick and easy installation make these a great solution for reducing maintenance and energy costs without a large up-front investment.